Weekend Getaways. Aaah… it has a very liberating ring to it. In today’s world of crazy, fast-paced life, who does not wish for a ‘Weekend Getaway‘. They work as a Rechargers. Bangalore is one such city, with abundant destinations within 250kms range, that boast of “away from the city” experience. Between the 3 states (Kerala, Karnataka and Tamil Nadu) one can cover over 40 destinations, so heavenly and so gorgeous, that one comes back to the fast life, replenished and fresh! The Pati and I decided to take one such trip after 3 months of grueling work schedule and crazy city life. The destination chosen was Doddamakali Fishing & Nature Camp run by the Jungle Lodges & Resorts group. Jungle Lodges is known for their ‘in the wilderness‘ destinations. 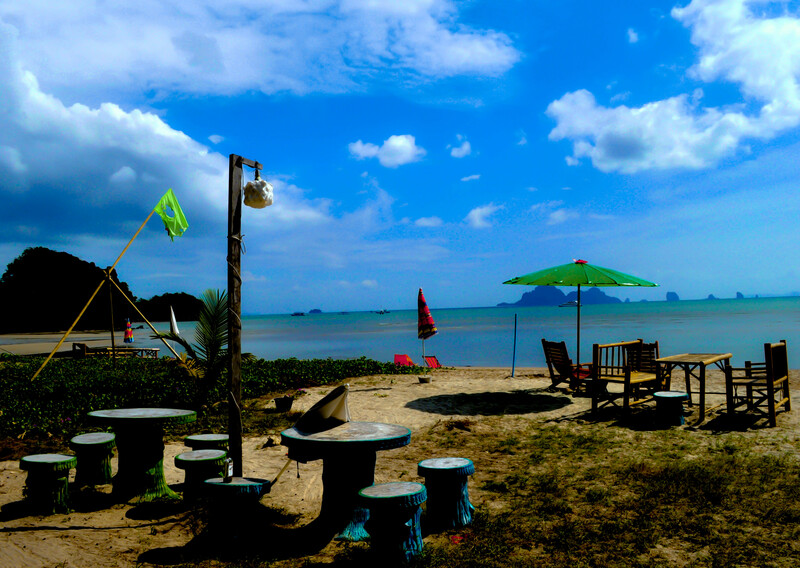 They have their camps and resorts set in locations which are virgin and in the wild. 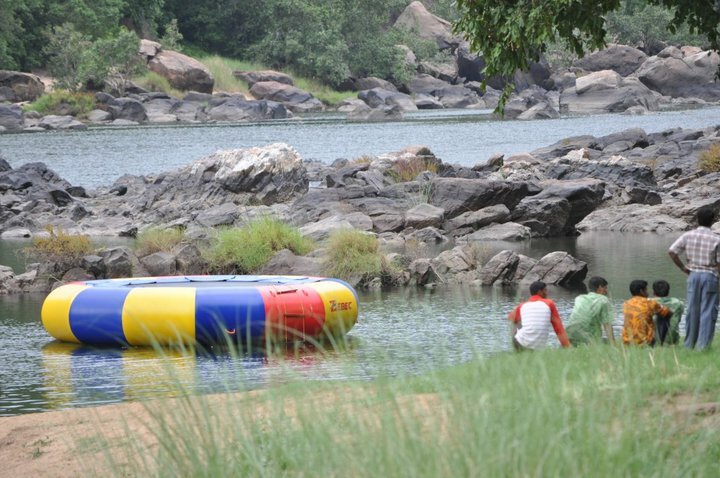 Doddamakali is Fishing & Nature Camp is about 116kms from Bangalore, on the banks of Cauvery river. It is one of the three fishing camps in the region — Galibore, Bheemeshwari and Doddamakali. 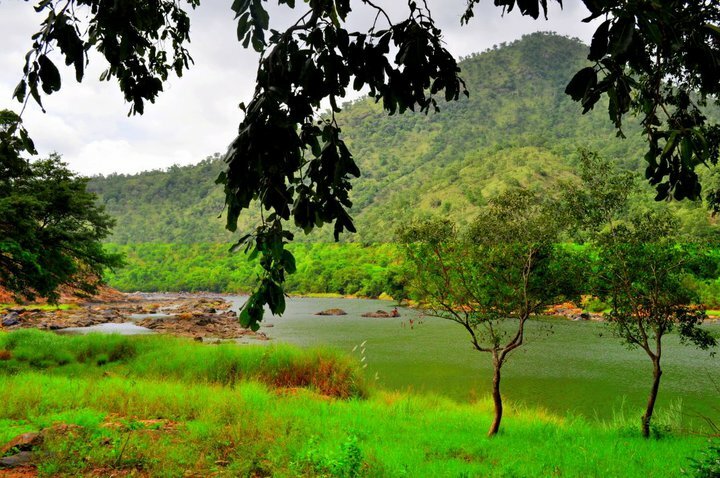 While Bheemeshwari is very touristy, Doddamakali is further upstream and boasts of untouched and pristine beauty. This place is as remote, rugged and as primitive as it could get. So Pati, 2 friends and I left at 5AM on a chilly Saturday morning. We bundled our-sleepy-selves in our trusted Hyundai i10 and set off for the destination, with maps and print-outs in hand. The route was extremely gorgeous. Head towards the national park on Bannerghatta road. Take the right heading towards NICE road. Proceed around 7 KM on NICE and take the left to Kanakpura road. Go on straight on NH-209 for around 80 KM. You will pass Kanakpura town. Go around 7 KM and you will see a board saying “Doddamkali Fishing Camp” and asking you to take a left. Follow the board’s directions. Head another 8 KM and you will reach near the camp. Of course the main camp is another 8kms away. It is all gravel path and there is practically ‘No Road’. We managed to go at a speed of 10kms/hr and it took about an hour to cover this distance. After about 6kms we caught a glimpse of Cauvery river. It was like a python making its way through ravines, lazily moving along, unaware of stress and burdens of the city. The sleep and the non-existent road pain went flying out of the window as we soaked up the flora, the fresh smell of flowers, the rugged landscape and the continuous hum of the birds. And then, out of nowhere, we were staring at the Fishing Camp. It was well-hidden, protected and absolutely serene. We pulled our luggage out and walked up to the Gol Ghar – which is the camp’s meeting place of sorts. It is a round hut which is used for all meals, meeting other people from the camp and bonfire. Since we had arrived at 9AM, way early before check-in, we were pretty excited about using that time to enjoy the beauty of our surroundings. We were the first ones and chose the tents we wanted. We chose the 3 tents farthest from the main campsite, with mine facing the river directly. After settling in, we decided to get something to eat since we were famished. The people at the Camp were very hospitable and listened to all our wants and desires with a smile on their faces. Of course they got us most of the things we asked for too. After a sumptuous and extremely fulfilling breakfast of eggs & bread, we decided to explore the camp site. The first thing that caught our eyes was the Volleyball Court. It brought out the boys in the grown up men. Of course they had forgotten how little stamina they had, so after 2 games and a lot of huffin n’ puffin, we moved to the river. The camp’s main attraction is easily the large Trampoline set up on the waters of the river. Instantly and instinctively we all wore our life-jackets and moved towards the trampoline. The 10-year old in all of us came to life and there was a lot of jumping and screaming for the next 2 hours. I tell you, it was the adrenaline rush of a lifetime! The next morning was a nature walk along the river, which was more like trekking up and down the rocky terrain. After a sumptuous breakfast that included Maggi (yay! ), we were on the road again and on our way back to Bangalore. If You Come Home As Happy As You Leave, You Have Had A Good Vacation. Well, the 4 of us did come back home with a smile on our faces and unlimited recounting of events of our ‘Weekend by the River‘.